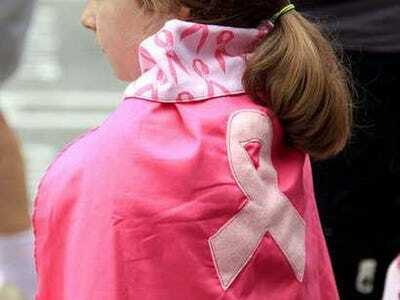 WASHINGTON (AP) — The Food and Drug Administration says it has approved a new form of a best-selling breast cancer drug that targets tumour cells while sparing healthy ones. The drug Kadcyla (kad-SY’-luh) from Roche combines the established drug Herceptin with a powerful chemotherapy and a third chemical linking the medicines together. The chemical keeps the drugs intact until they bind to a cancer cell, where the double-shot of medication is released. The FDA approved the drug for about 20 per cent of breast cancer patients who have a particular form of the disease. These patients have tumors that overproduce the protein HER-2. The approval will help Roche build on the success of Herceptin, which has long dominated the breast cancer marketplace. The drug had sales of $6 billion last year.